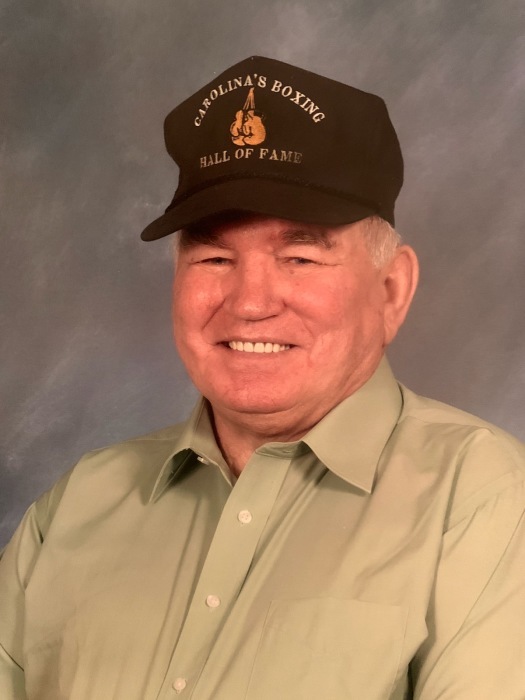 Allen Eugene Wilson, Boxing Hall of Famer, 80, of Charlotte, died Monday, October 22, 2018 at his home. He was born in Gaston County, son of the late Lawrence and Fannie Pearl Wallace Wilson. Allen was the 1959 Golden Glove Boxing Champion. In addition to his parents, he was preceded in death by a grandson Brandon Hester, as well as three brothers. Those left to cherish his memory include his wife of 60 years, Bobbie Phillips Wilson; two daughters Donna W. Hester (Terry), and Rhonda W. McGee (Jeff) both of Charlotte; grandchildren Jerad Hester (Rebecca) of Mount Holly, Ryan Hester (Sommer) of Huntersville, Taylor Putnam (Jon) of Charlotte, and Cathy Dawson of Wesley Chapel, Florida; a sister Rachel Faircloth of Kings Mountain; as well as five great-grandchildren. A service to celebrate his life will be held 3:30 pm Saturday, October 27 at Belmont Foursquare Church, 8 Elizabeth Street, Belmont. The family will greet guests from 1:30 to 3:30 pm prior to the service at the church. In lieu of flowers, memorials may be made to Hospice and Palliative Care Charlotte Region, PO Box 470408, Charlotte, NC 28247 or to Belmont Foursquare Church Camp Fund.